Santa Barbara, CA. July 10, 2018 – Despite the Fourth of July holiday week, The Salvation Army did not take a vacation due to a wildfire that burned more than 28 structures (including 13 homes) in the Santa Barbara/Goleta area. The Salvation Army served as the primary feeding agency for the evacuation center open in Santa Barbara County, which had sheltered 61 evacuees as of the night of July 6th. Beginning with lunch on July 7, The Salvation Army served more than 85 total meals, 142 beverages and 265 snacks. The lifting of the mandatory evacuations over the weekend resulted in a reduction of shelter population and, eventually, the closing of the evacuation center. The Salvation Army Santa Barbara Corps remains on standby if further food service is needed. With the fire more than 95% contained, the clean-up and rebuilding process begins. 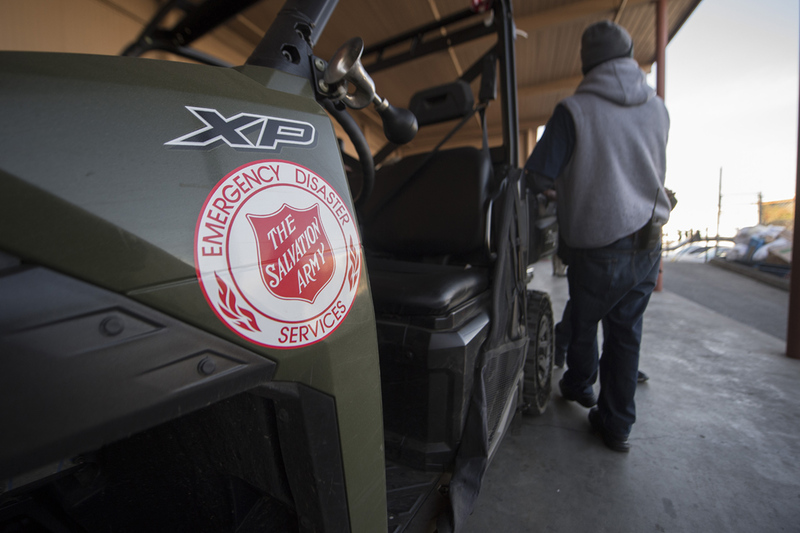 The Salvation Army will be present at a Local Assistance Center to help fire survivors start the process of getting their lives back together. At this time, The Salvation Army is asking for financial donations, which can be used to meet immediate challenges and specific needs in a timely fashion. To donate, click here or call 1-800-SAL-ARMY. About The Salvation Army: The Salvation Army, an evangelical part of the universal Christian church established in 1865, has been supporting those in need in His name without discrimination for 138 years in the United States. More than 30 million Americans receive assistance from The Salvation Army each year through the broadest array of social services that range from providing food for the hungry, relief for disaster victims, assistance for the disabled, outreach to the elderly and ill, clothing and shelter to the homeless and opportunities for underprivileged children. About 83 cents of every dollar raised is used to support those services in 7,000 communities nationwide. For more information, go to socal.salvationarmy.org.